Elegant. Functional. Precise. The new models in the Senator Collection. Här samlas nya modeller och märken i klockvärlden. Om ni vill presentera en ny klocka eller modell här så maila eller skicka ett PM. The successful man leaves nothing to chance. He is driven by a desire for the best things in life, for perfection – and yet he confronts the challenges of everyday life with confidence, charm, creativity and passion. He is the embodiment of originality and excellence. 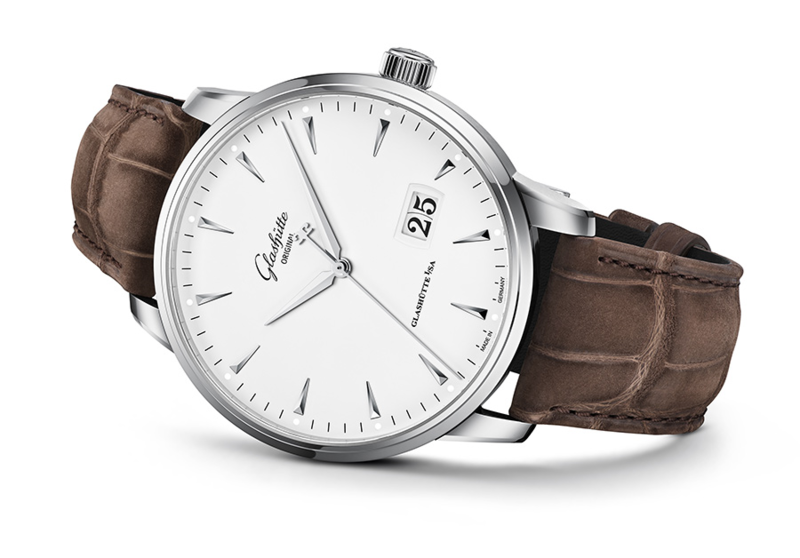 And precisely these values are at the heart of Glashütte Original’s continuing development of its Senator Collection. The new versions of the Senator Excellence Panorama Date and the Senator Excellence Panorama Date Moon Phase, presented earlier this year, are now available worldwide. 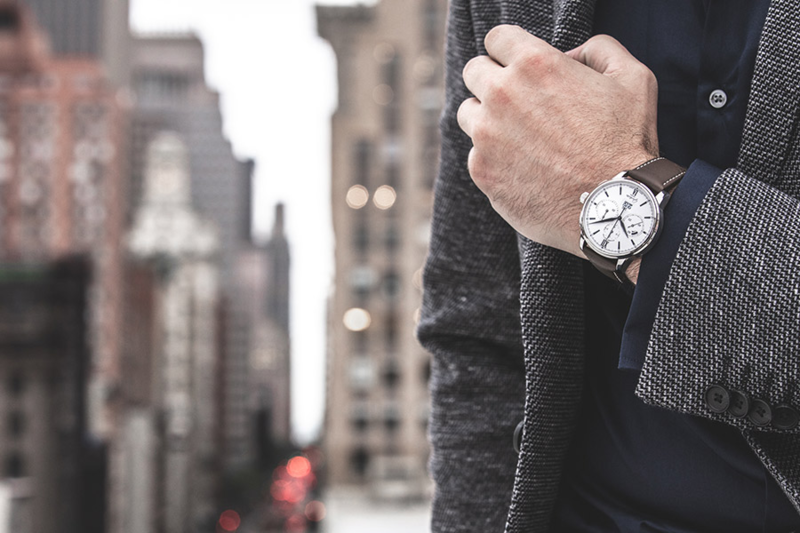 The launch of the latest Senator Chronograph Panorama Date, in a casually elegant black and white version, has also begun. They appreciate traditional craftsmanship and technical sophistication. They know how to reconcile their ambition with the art of living. 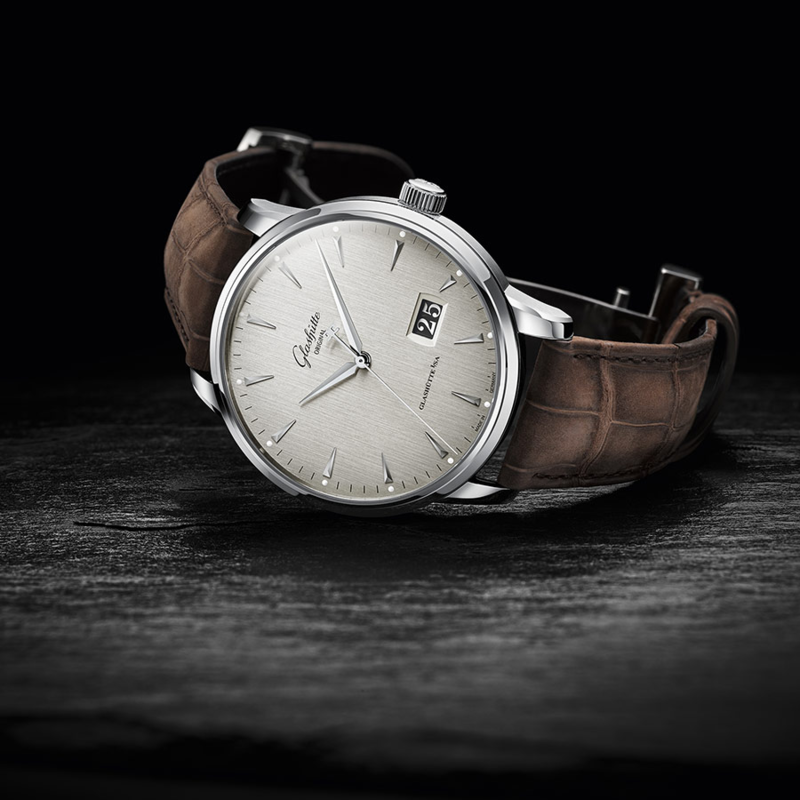 They are the connoisseurs to whom Glashütte Original recommends the latest additions to its Senator Collection, made for the heart as well as the wrist. 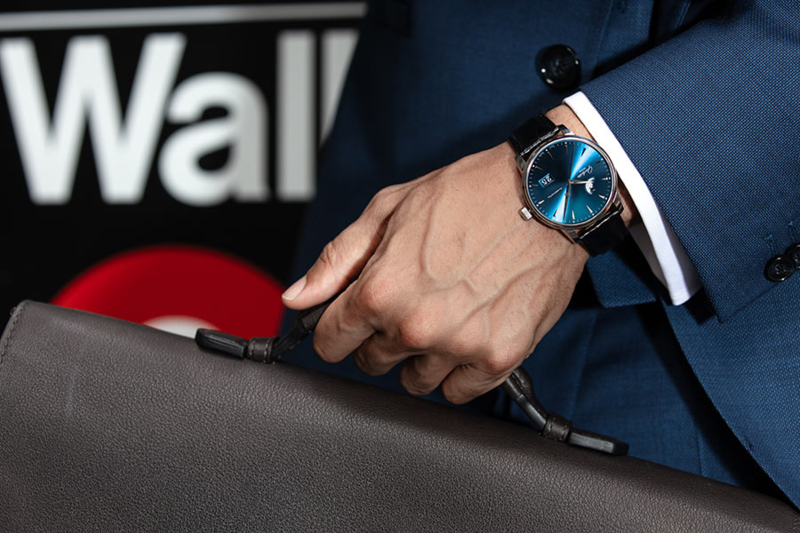 After all, the new versions allow the watch enthusiasts to demonstrate their appreciation of aesthetics, design and exceptional performance– and above all to celebrate their passion for magisterial design and functionality in the art of watchmaking. The new versions of the Senator Excellence Panorama Date and the Senator Excellence Panorama Date Moon Phase present the Calibre 36 in action: version 36-03 in the Panorama Date and 36-04 with Panorama Date and moon phase. 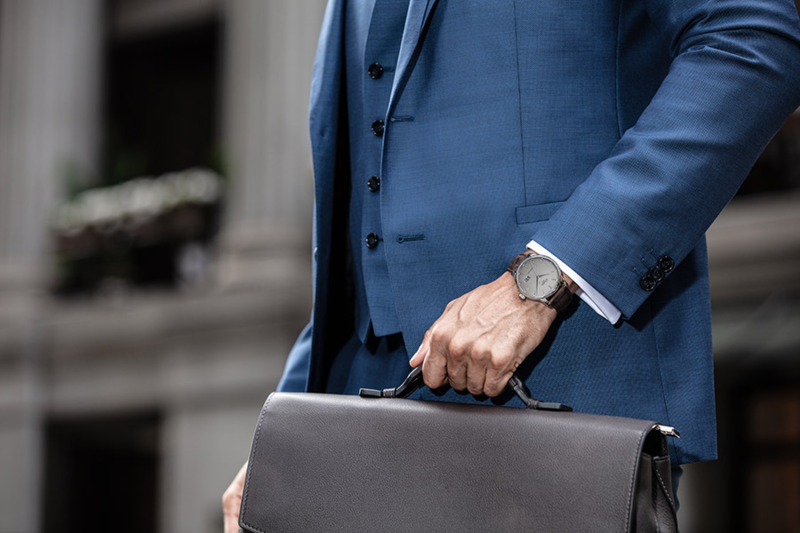 Since its launch in 2016 it has come to represent the epitome of horological expertise, and forms the heart of the entire Senator Excellence line. 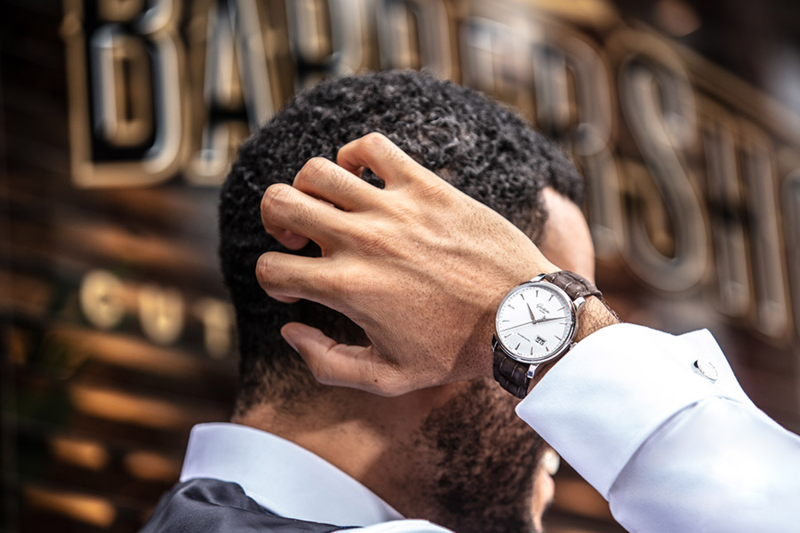 A perfect fit for those who are conscious of their charisma as they cultivate an understated style, this award-winning movement works with a mechanism cut down to the essentials. 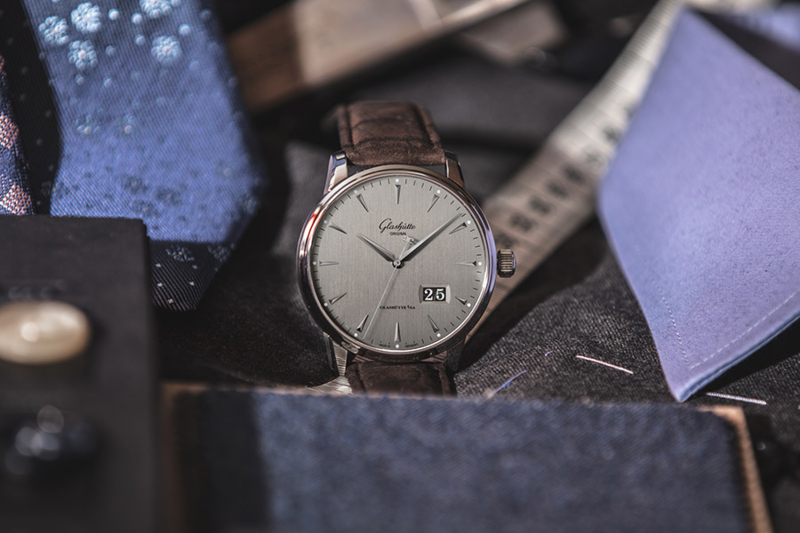 Glashütte Original puts every single model through a 24-day endurance test and links it to a promise: each of these certified watches sets a new quality standard in terms of exceptional stability and accuracy, extended running time and timeless beauty. 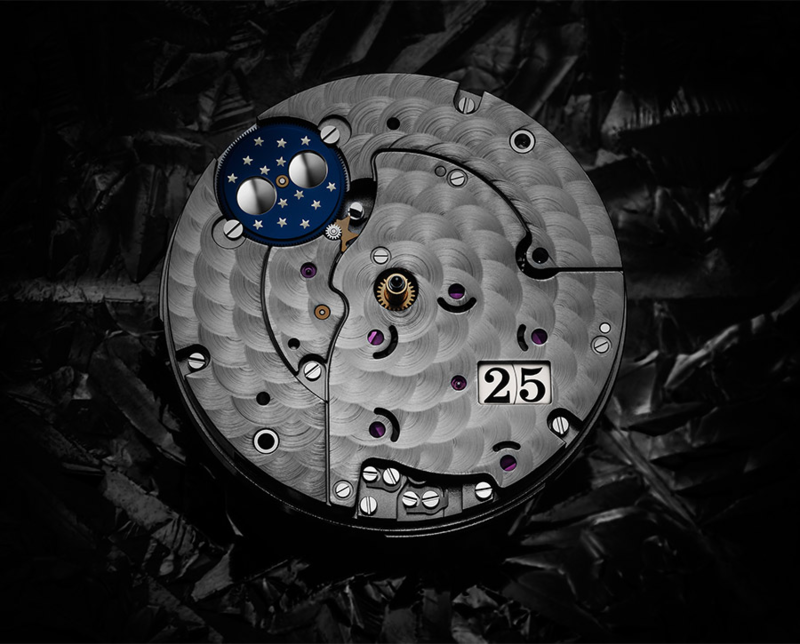 The manufactory underscores its promise with an engraving on the case back and an individual examination certificate for each watch. Yet excellence is revealed not simply in technical features and certificates. It is external values like elegance and ease of use that make a technical masterpiece a perfect companion for citizens of the world. 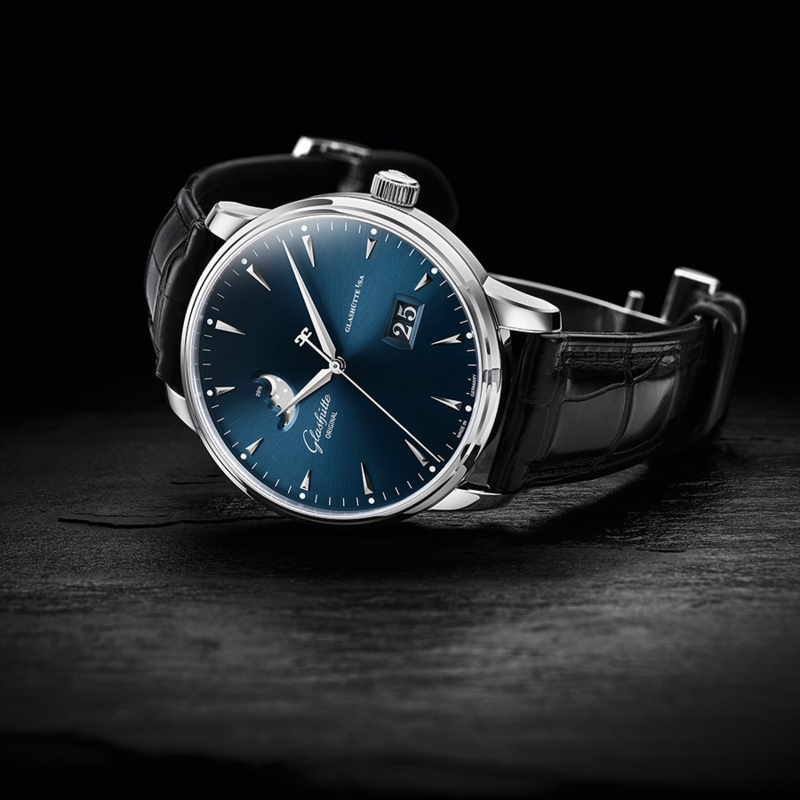 In the new models, the Glashütte Original Panorama Date and moon phase can be set easily by way of the crown. 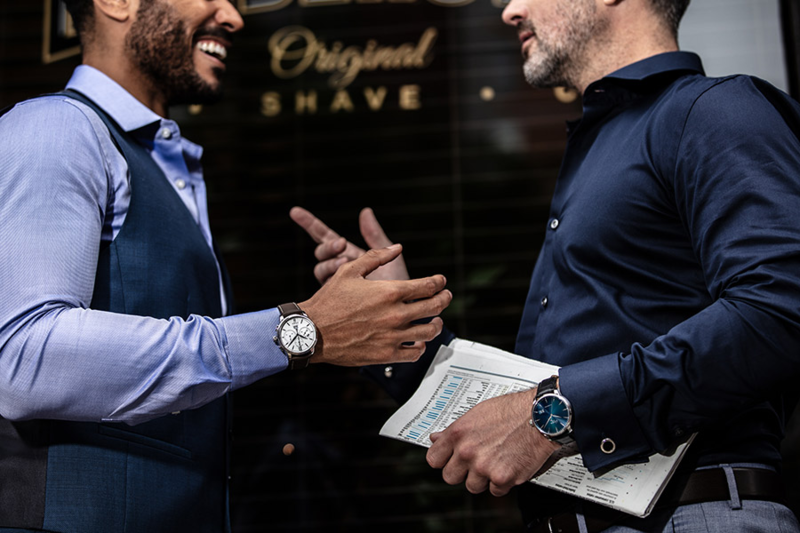 These two complications, characteristic of the manufactory, do not require an additional corrector, which contributes to the clear, clean design of the watch. 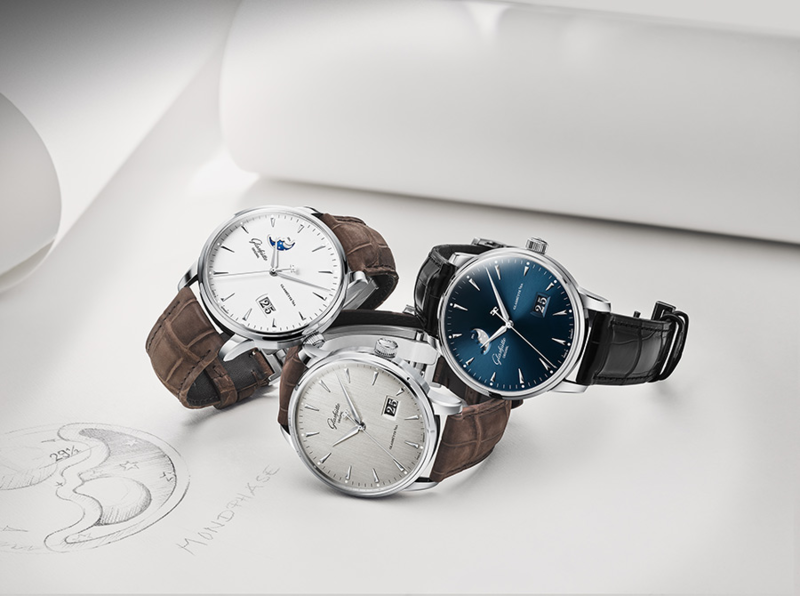 With their new look the Senator Excellence Panorama Date and Senator Excellence Panorama Date Moon Phase lend this timeless line a contemporary impulse: they are set apart with distinction by the new dial versions in blue, silver-grey and white – all hand-crafted in Glashütte Original’s own dial manufactory in Pforzheim. The new versions also feature a slightly larger, 42 mm stainless steel case. The Senator Chronograph Panorama Date is also the product of painstaking craft labour, undertaken by excellent watchmakers. 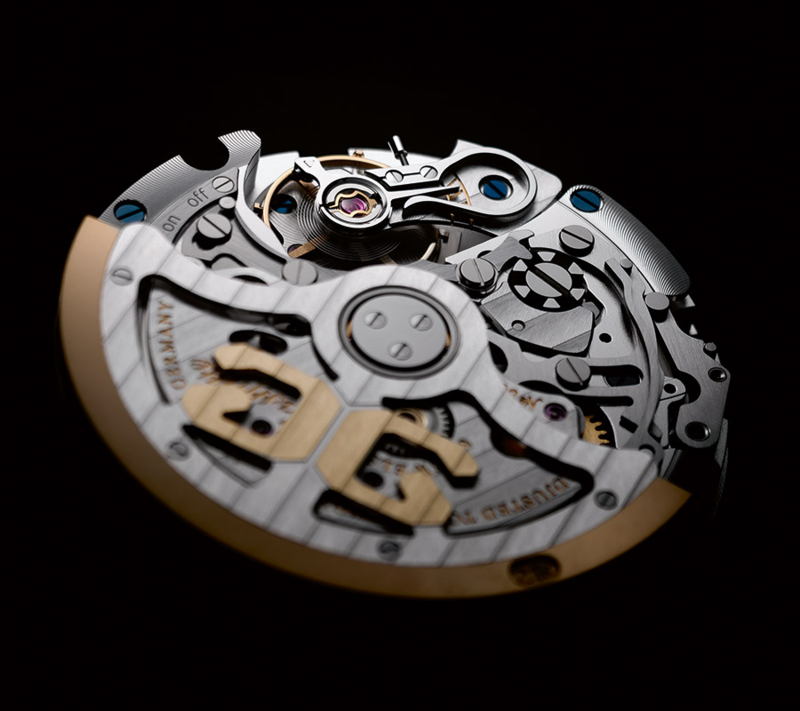 It is above all its originality, however, that renders this timepiece so special. It represents a smart combination of functional design, maximum precision and reliable performance. 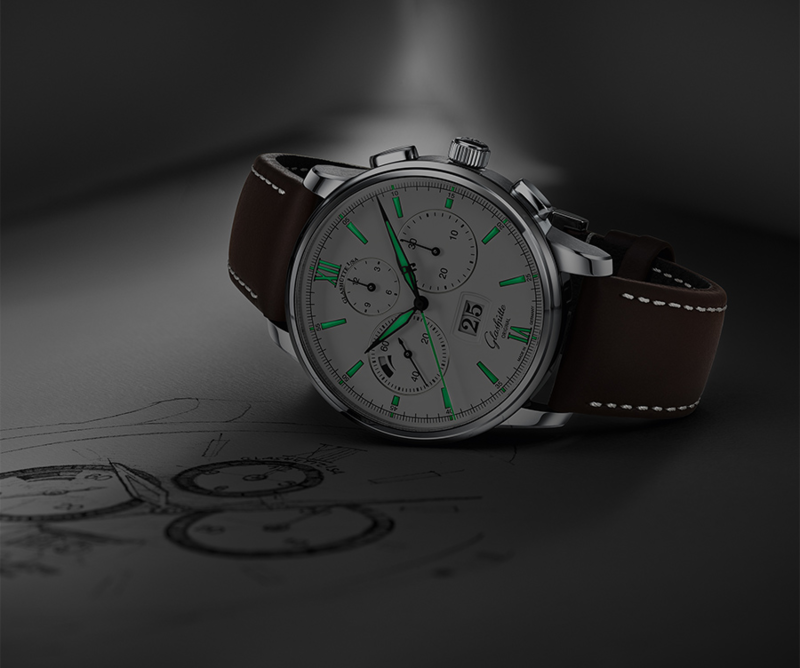 The foundation for all of this is the innovative Calibre 37-01 with flyback mechanism and 12-hour chronograph counter. 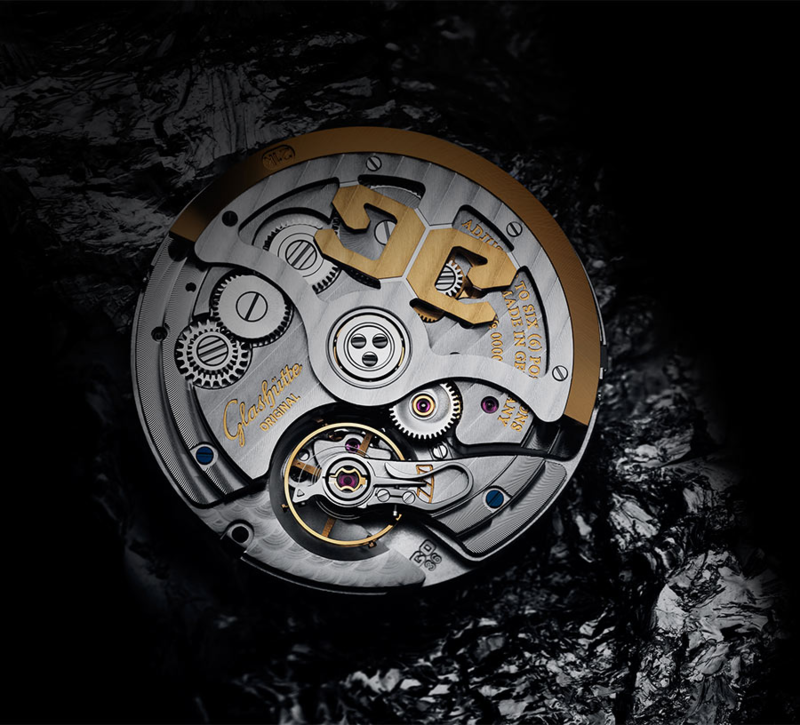 The completely integrated and efficient design of the manufactory’s 4-Hz automatic movement was developed to meet the highest standards in terms of functionality. Thanks to perfectly tuned technical solutions, it offers great ease of use and excellent rate precision. Its especially high precision is based, among other things, on the use of regulator-free rate adjustment, which is handled using four gold screws on the balance rim. 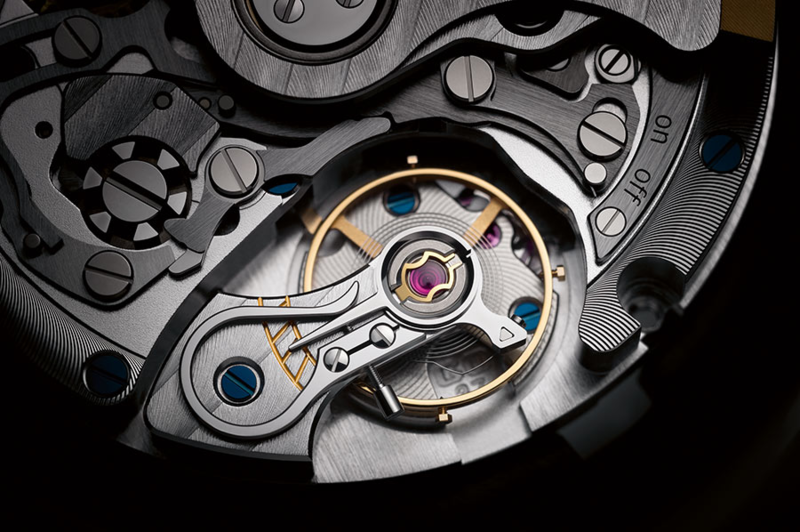 With a power reserve of 70 hours when fully wound, the automatic movement achieves a top spot in the realm of mechanical chronographs. 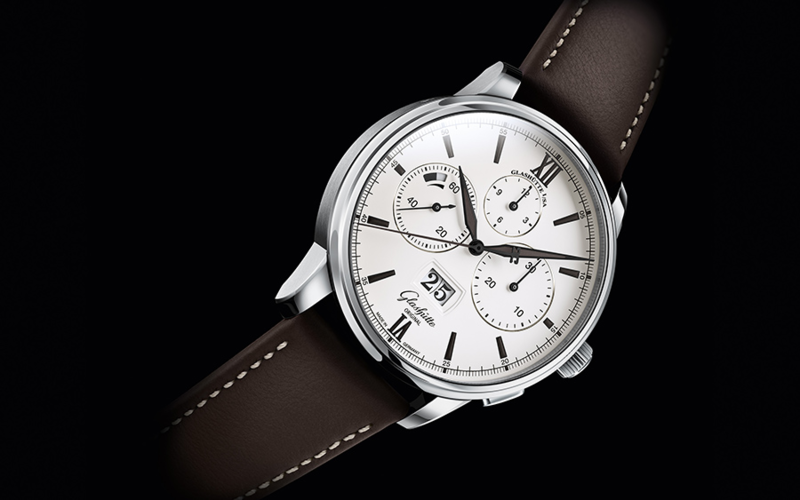 Despite its exceptional wide range of functions the chronograph is easy to use and well-equipped for everyday use. This makes it a perfect fit for urban life, where quality and reliability are as important as authenticity and poise. The new version of the Senator Chronograph Panorama Date, which debuted in 2014, is convincing and clear in its high-contrast elegance. Deep black details and displays are easily read against the white backdrop of the dial – and thanks to Super-LumiNova highlights in the dark as well. The dial visuals are modern, strongly defined and symmetrically ordered. 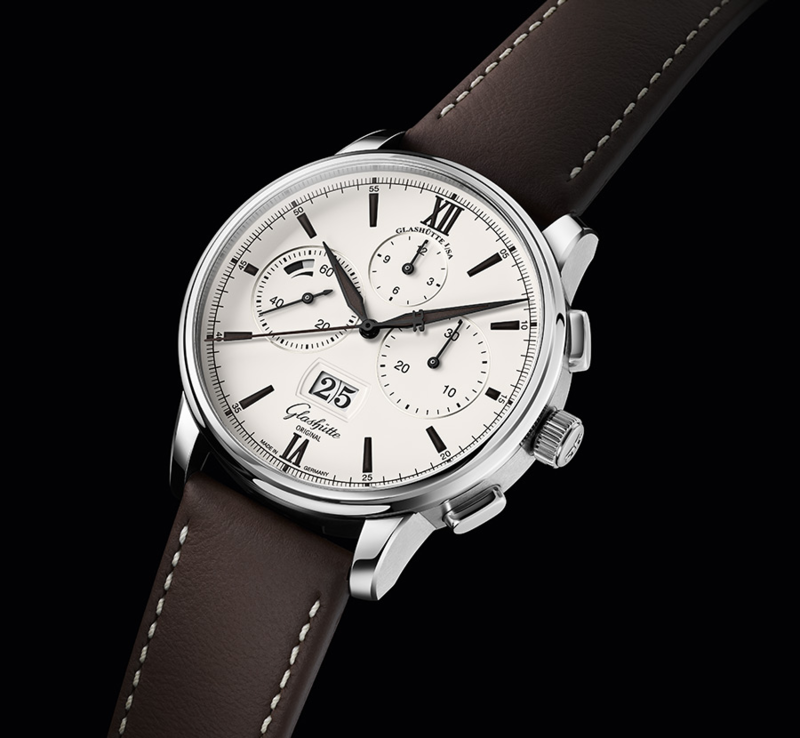 The chronograph counter, power reserve display and Glashütte Original Panorama Date appear within the generous confines of the alternately polished and satin-brushed 42 mm stainless steel case.